A condenser unit used in central air conditioning systems typically has a heat exchanger coil to cool down and condense incoming refrigerant vapor into liquid, a compressor to raise the pressure of the refrigerant and move it along, and a fan for blowing outside air through the heat exchanger coil to cool the refrigerant inside. 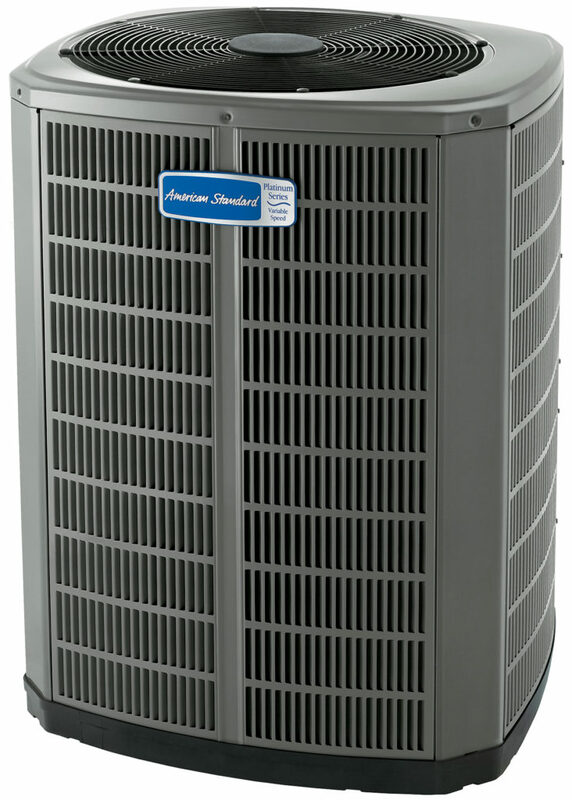 A typical configuration of such a condenser unit is as follows: The heat exchanger coil wraps around the sides of the unit with the compressor inside. In this heat exchanger coil, the refrigerant goes through multiple tube passes, which are surrounded by heat transfer fins through which cooling air can move from outside to inside the unit. There is a motorized fan inside the condenser unit near the top, which is covered by a fan grill to keep any objects from accidentally falling inside on the fan. The fan is used to blow the outside cooling air in through the heat exchanger coil at the sides and out the top through the fan grill. These condenser units are located on the outside of the building they are trying to cool, with copper refrigerant tubing between the unit and indoor evaporator coil, one refrigerant line for vapor refrigerant entering and another line for liquid refrigerant leaving the unit. Of course, an electric power supply is needed for the compressor and fan inside the unit.